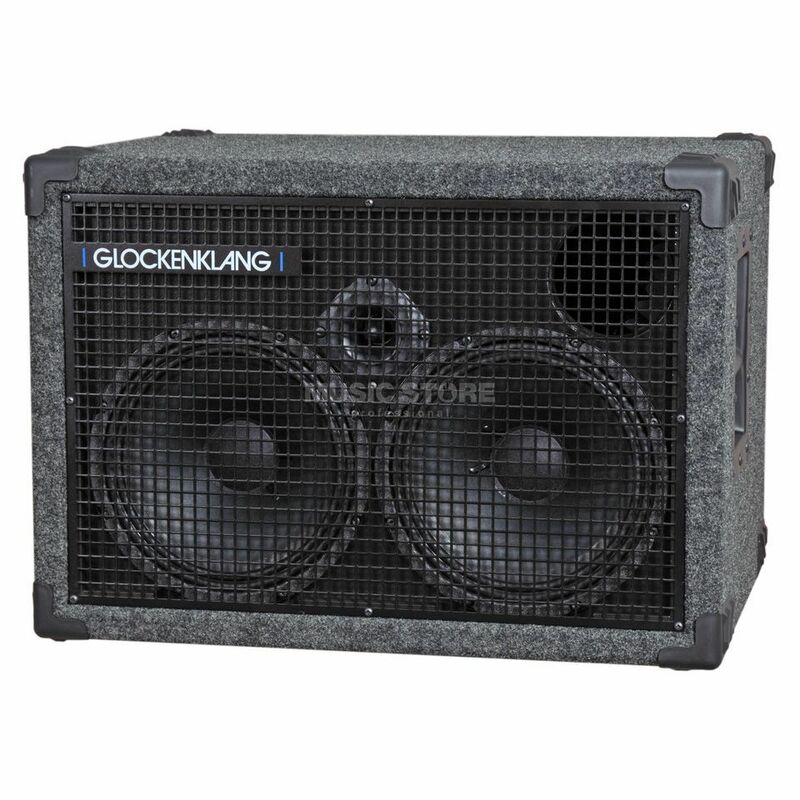 The Glockenklang Duo Light 8 Ohm is a bass guitar amplifier speaker cabinet, with 2x10" volt speakers, with 400 Watt output. The Duo Light 2x10" cabinet features 400 watts with a sensitivity of 100dB. Great Stand-alone cab for club gigs or as an extension cab for the UNO, QUATTRO or DOUBLE cab. The adjustable tweeter, offering a wide range of smooth highs, enables you to control the hole setup. The 10"-speakers are custom design for Glockenklang by the English company Volt and offer, apart from the 100db, a good punch and plenty of bottom end. The small dimensions and light weight make it a favourite for double bass players.